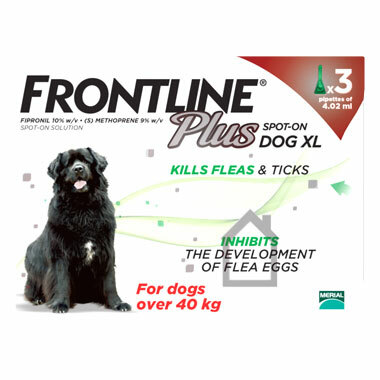 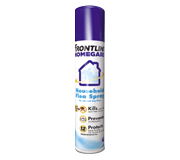 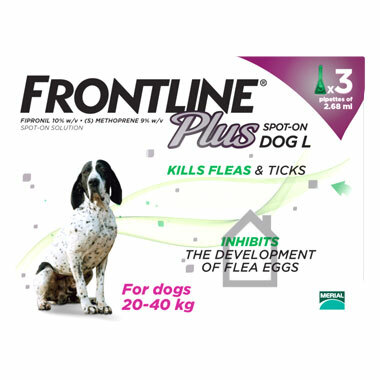 FRONTLINE Spot-On Dog is effective against flea infestation for approximately two months and against tick infestation for up to one month, depending on the level of environmental challenge. 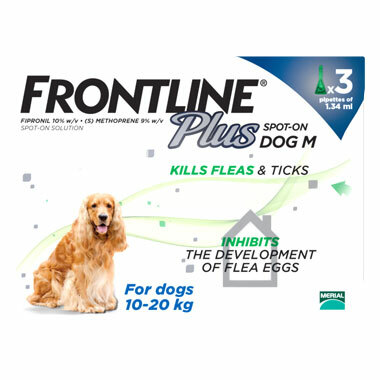 Newly arriving fleas are killed within 24 hours of landing on the animal. 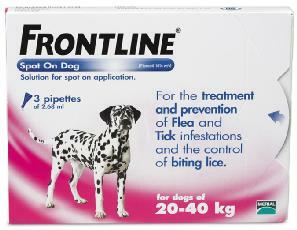 Re-treatment may safely be carried out at one month intervals. 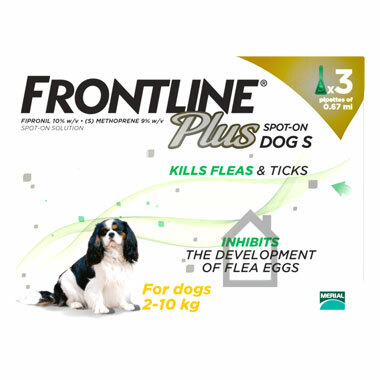 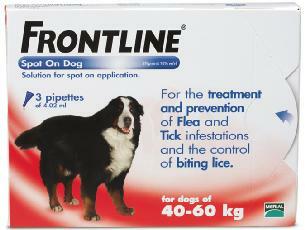 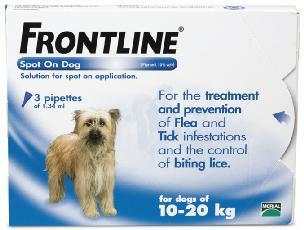 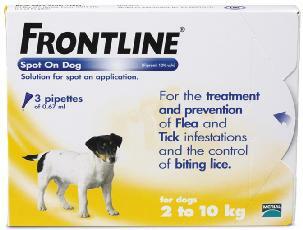 FRONTLINE Spot-On Dog and Frontline Plus can be used in puppies from 8 weeks of age and weighing over 2kg.